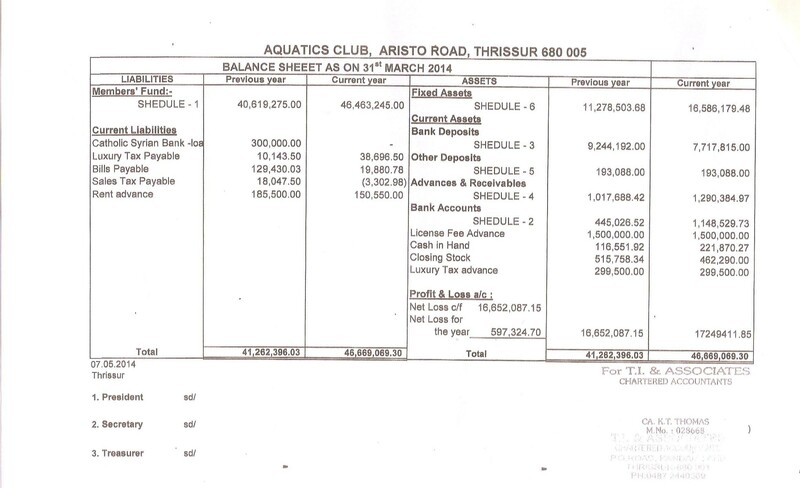 Welcome to Aquatics Club, for more information please contact at +91 487 2428824, 2428773. 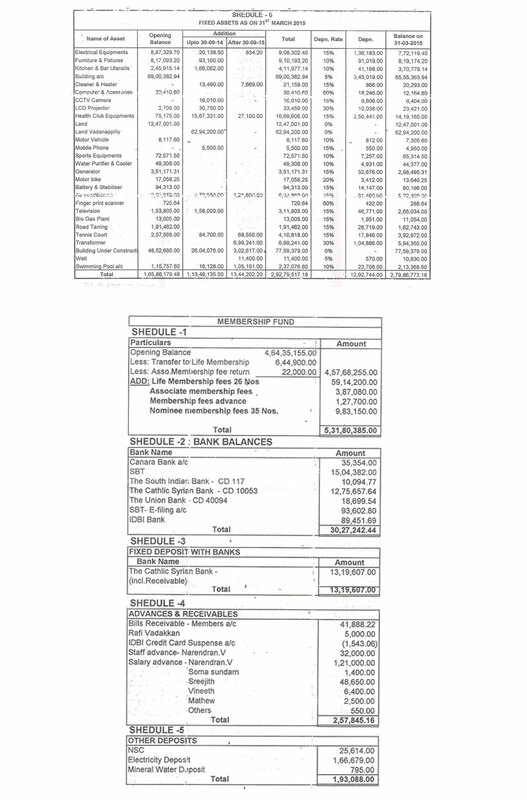 Balance Sheet As On 31st March 2018. 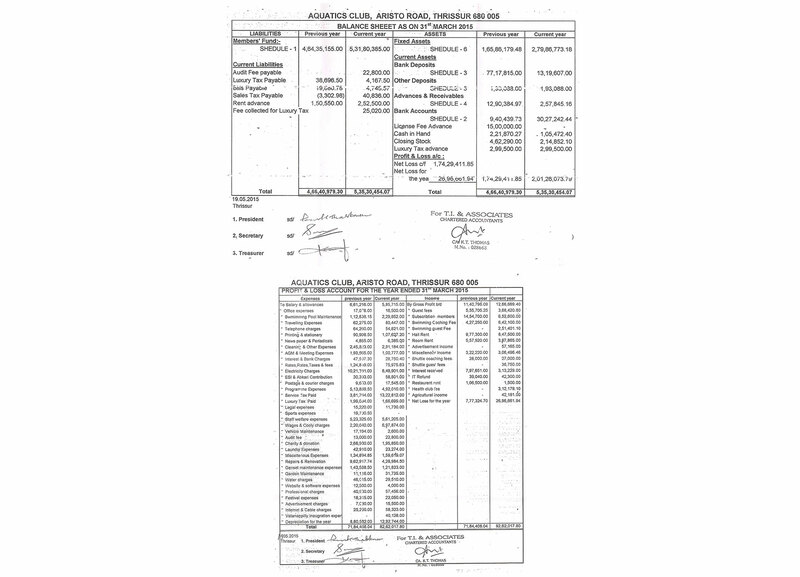 Fixed Assets As On 31st March 2018. Membership Fund As on 31st March 2018. 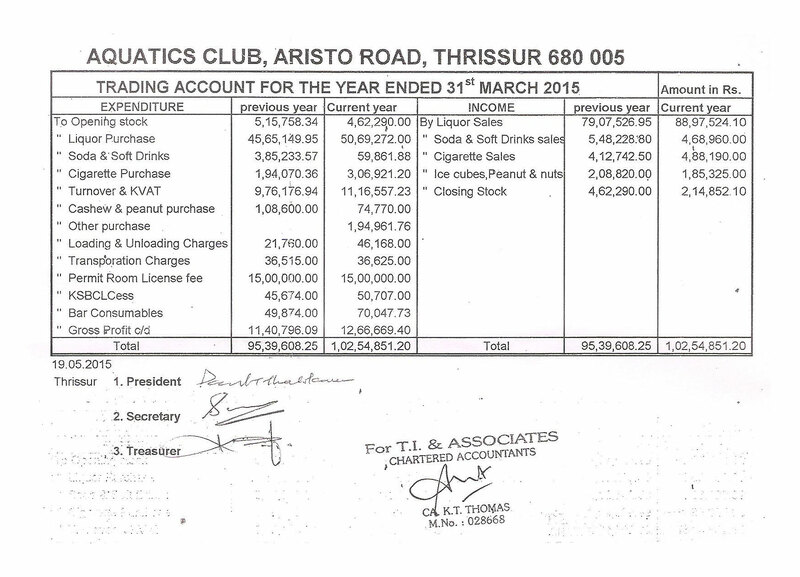 Profit And Loss Account For The Year Ended 31st March 2018. Trading Account For The Year Ended 31st March 2018. 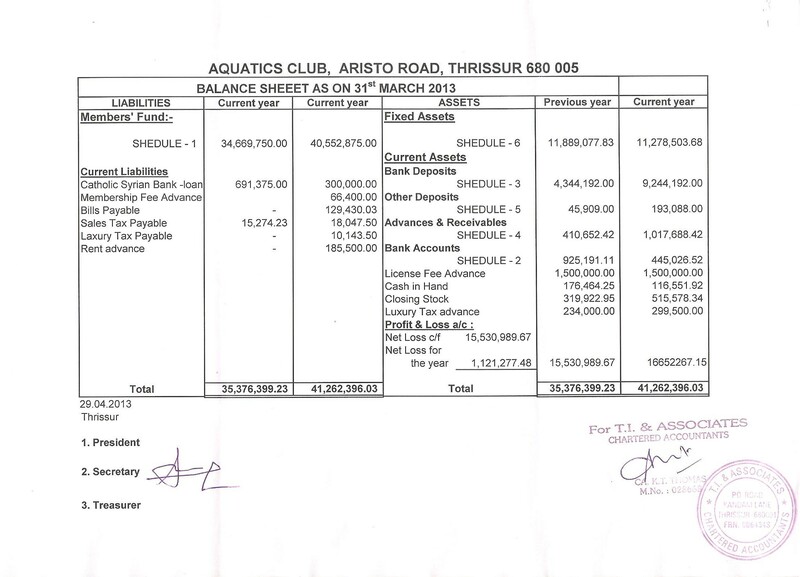 Balance Sheet 31st March 2013. 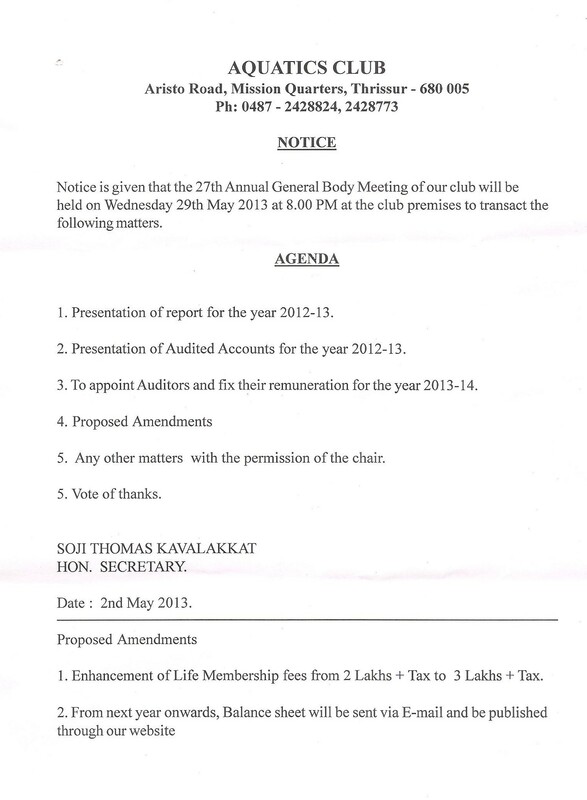 2013 Annual General body Agenda. 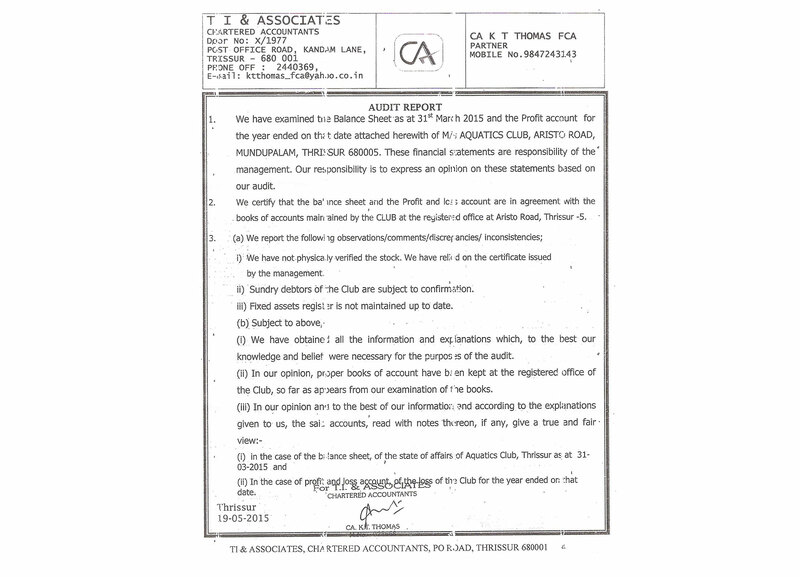 Balance Sheet 31st March 2014. 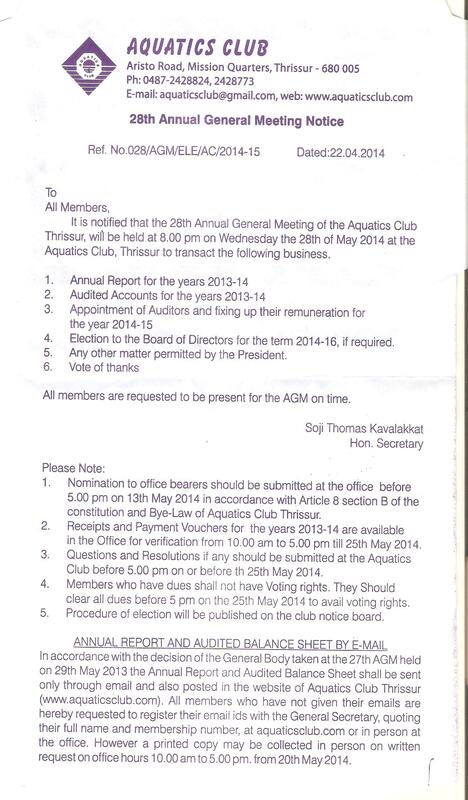 28 Annual General Meeting Notice.